This 310PC tool is a manual loading dep system, designed for research and development and small scale production. The system consists of a combined electronics and process chamber. Other major components of the system not shown in the illustration include the AC distribution box, pumps, remote gas box. The process chamber is configured for deposition. 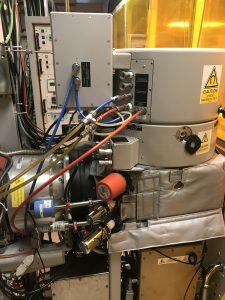 The plasma is coupled at 13.56 MHz via the matching unit into an aluminium chamber. 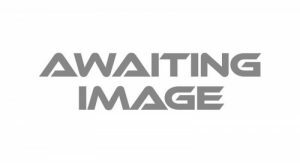 This provides a plasma capable of operating in a very wide process range. The system is designed for maximum process flexibility and reproducibility. Process gas is introduced to the chamber through the upper cover assembly. The substrates are placed on the electrode assembly. The chamber has been designed to the highest vacuum engineering standards with the number of components kept to a minimum, with particular consideration given to the elimination of virtual leaks. This results in a very stable chamber environment leading to processes of the highest quality. After loading of the wafer into the process chamber, the system automatically carries out pump-down after which the process is started. System control is via a standard PC which provides fully automatic and user friendly operation. A colour monitor displays process information and mimic displays, allowing the system to be easily operated and continuously monitored. Process recipes may be downloaded to hard or floppy disk, allowing secure storage of unlimited numbers of recipes. This 320PC tool is a manual loading etch system, designed for research and development and small scale production. The system consists of a combined electronics and process chamber. Other major components of the system not shown in the illustration include the prime power cabinet, pumps, remote gas box and the deionised water chiller. The process chamber is configured for etching. 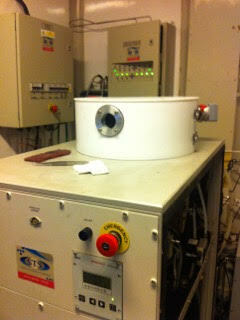 The plasma is coupled at 13.56 MHz via the matching unit into an aluminium chamber. This provides plasma capable of operating in a very wide process range. The system is designed for maximum process flexibility and reproducibility. Process gas is introduced to the chamber through the upper cover assembly. The substrates are placed on the electrode assembly which is powered at 13.56 MHz. Temperature control of the substrate platen which is required for certain processes is achieved using a re-circulating de-ionised water system. System control is via a standard PC which provides fully automatic and user friendly operation. Colour monitors displays process information and mimic displays, allowing the system to be easily operated and continuously monitored. Process recipes may be downloaded to hard or floppy disk, allowing secure storage of unlimited numbers of recipes. This 308PC tool is a manual loading etch system, designed for research and development and small scale production. The system consists of a combined electronics and process chamber. Other major components of the system include the prime power cabinet, pumps and, remote gas box. The process chamber is configured for etching. 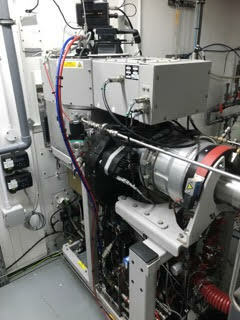 The plasma is coupled at 13.56 MHz via the matching unit onto an aluminium Faraday cage in the chamber. This provides plasma capable of operating in a very wide process range. The system is designed for maximum process flexibility and reproducibility. Process gas is introduced into the chamber through the upper gas inlet assembly. The substrates are placed on the shelf of the Faraday Cage assembly which is powered at 13.56 MHz. Mesc Multiplex ICP System The Mesc Multiplex ICP system is designed for maximum process flexibility and reproducibility. 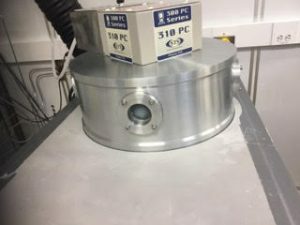 The process chamber has been designed to the highest vacuum engineering standards with the number of components kept to a minimum, with particular consideration given to the elimination of virtual leaks. This results in a very stable process chamber environment leading to processes of the highest quality. The Mesc Multiplex CVD system is designed for maximum process flexibility and reproducibility. The process chamber has been designed to the highest vacuum engineering standards with the number of components kept to a minimum, with particular consideration given to the elimination of virtual leaks. This results in a very stable process chamber environment leading to processes of the highest quality. Other major components of the Mesc Multiplex CVD system, not shown, include, an R.F. stack, chiller(s) and a compressed air system. The Mesc Multiplex RIE system is designed for maximum process flexibility and reproducibility. 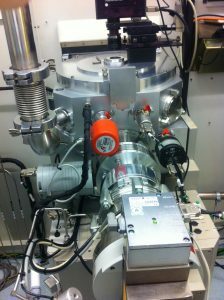 The process chamber has been designed to the highest vacuum engineering standards with the number of components kept to a minimum, with particular consideration given to the elimination of virtual leaks. This results in a very stable process chamber environment leading to processes of the highest quality. Other major components of the Mesc Multiplex RIE system not shown, include, an R.F. 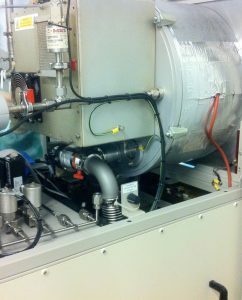 , chiller(s) and a compressed air system. The Mesc Multiplex AOE system is designed for maximum process flexibility and reproducibility. The process chamber has been designed to the highest vacuum engineering standards with the number of components kept to a minimum, with particular consideration given to the elimination of virtual leaks. This results in a very stable process chamber environment leading to processes of the highest quality. Other major components of the Mesc Multiplex AOE system not shown, include, an R.F. stack, chiller(s) and a compressed air system. The Mesc Multiplex HRM system is designed for maximum process flexibility and reproducibility. The process chamber has been designed to the highest vacuum engineering standards with the number of components kept to a minimum, with particular consideration given to the elimination of virtual leaks. This results in a very stable process chamber environment leading to processes of the highest quality. Other major components of the Mesc Multiplex HRM system not shown, include, an R.F. stack, chiller(s) and a compressed air system.